Why 9 of the top 10 most trafficked web sites are powered by MySQL? User loads and data volumes are exploding – driven by increasing Internet penetration rates, social networking, high-speed mobile broadband connecting ever-smarter devices, new Machine to Machine (M2M) interactions, and more. MySQL Cluster allows users to overcome database challenges in the next generation web, cloud, and communications services while guaranteeing scalability, uptime and agility. MySQL Cluster is a technology providing shared-nothing clustering and auto-sharding for the MySQL database management system. It is designed to provide high availability and high throughput with low latency, while allowing for near linear scalability. Codership provides Galera, a multi-master extension for MySQL that enables multiple MySQL nodes to handle reads and writes, synchronizing the writes on each node simultaneously. Galera is also available through Percona called variously “Percona Cluster” and “XtraDB Cluster”. Galera leverages a fork of the InnoDB storage engine and custom replication plug-ins. MariaDB, a MySQL fork, now ships MariaDB Galera Cluster as its cluster solution too. 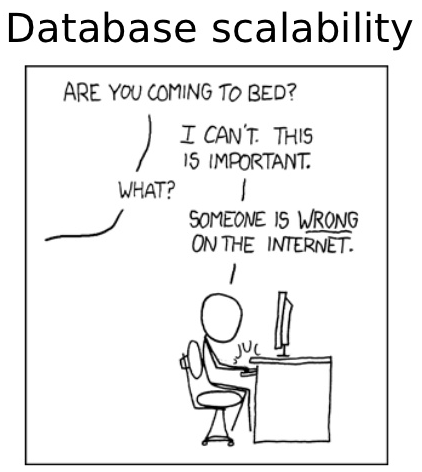 ScaleBase is a database software company that works with next-gen apps to scale out relational databases by virtualizing(auto-sharding) a distributed database environment. ScaleBase instantly scales out a single database into a multiple instance cluster with automated load balancing and continuous high availability – all with no changes to the application. The application continues to “see” one database, but benefits from the power of multiple databases working together. Automated failover enables business continuity and prevention of application downtime. Software list price for Oracle RAC is $47.5K per processor for Oracle Enterprise, plus $23K for RAC per processor. Software list price for SQL Server Enterprise is $6.5K per core. Today, the same computing power is available for a fraction of the cost. ScaleBase is about 80% less. You can watch a video or read more in the Tutorial Guide – Scaling Web Databases with MySQL Cluster – Guide.